The "flip sequin" trend began January 10, 2016 inside a Nebraska Furniture Mart. That's where Steve Noviello, a Fox affiliate news anchor, did a segment on a reversible sequin "Mermaid Pillow" designed by Aviva Stanoff. Noviello's Facebook Live video was viewed more than 30 million times. And like that, a trend was born. Flip sequin shirts were everywhere by the summer of 2017, becoming a staple in stores like The Children's Place, The Gap, Justice and Target. Now reversible sequin fabric is used on backpacks, blankets, sneakers, stuffed animals...the list goes on. The reversible sequin trend will come and go (just like slime and fidget toys), but until it fizzles out, shop carefully. I've seen Justice-brand flip sequin backpacks selling for $75 on Amazon, meanwhile, the same backpack was selling on ShopJustice for $30. Crazes make for inefficient markets. Thankfully, there is enough flip sequin supply to meet demand. 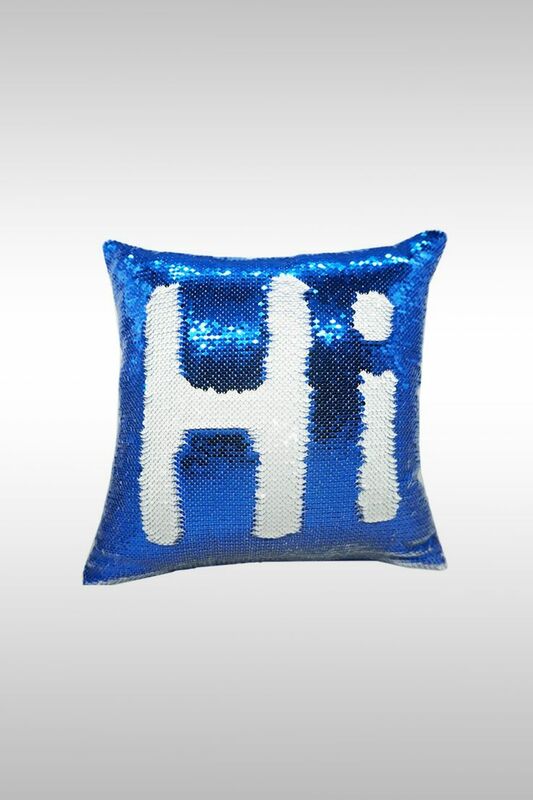 These reversible sequin pillow cases are fun and addictive, according to several Amazon customers. Some reviewers say the sequins don't reverse smoothly; others wish the sequins were on both sides (the back has a satin texture). Several Amazon customers say their children were pleased with these reversible sequin pillow cases. Many reviewers believed they were ordering pillows (not just cases), and felt misled by the product photo. Author's Note: Justice-brand backpacks, especially personalized ones, sell for much less on ShopJustice than they do on Amazon. Several Amazon customers say their (grade-school age) daughters love this backpack. Some reviewers caution that the zippers and top handle are delicate; others were disappointed that a water bottle won't fit in the side pockets. This backpack is colorful, roomy and well made, according to several Amazon customers. A few unhappy reviewers say their bag ripped after minimal use. This stuffed animal is cute and the sequins are easy to flip, according to several Amazon customers. Strangely, two unhappy reviewers say they received salt or spices instead of a Beanie Boo. This flip-sequin notebook is pretty and fun, according to most Amazon customers. Author's note: This product has fewer reviews than I'd prefer, but it was the only reversible sequin notebook that seemed to have legitimate reviews. 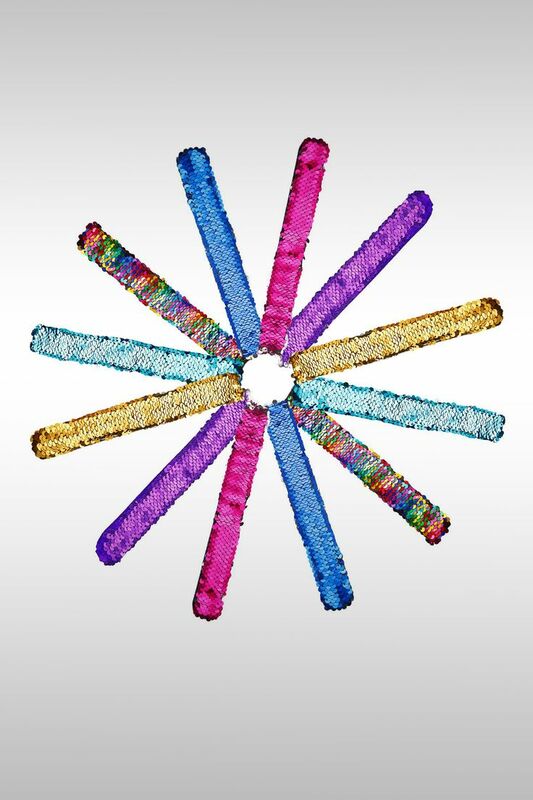 These flip sequin slap bracelets are soft and make a fun party favor, according to several Amazon customers. Some reviewers imply that the quality of the bracelets is what you'd expect for the price. Hehali's individually-wrapped flip sequin bracelets were a big hit as party favors, according to several Amazon customers. One unhappy customer says she received 23 bracelets instead of 24.